Over 100 teachers and leaders attended the launch of the Leeds Curriculum, at Leeds Museum on Thursday 14th June. The Leeds Curriculum puts the city’s stories at schools’ fingertips, with resources and lesson plans tying into 50 local stories ranging from prehistoric hippos in Armley to the 2015 floods. 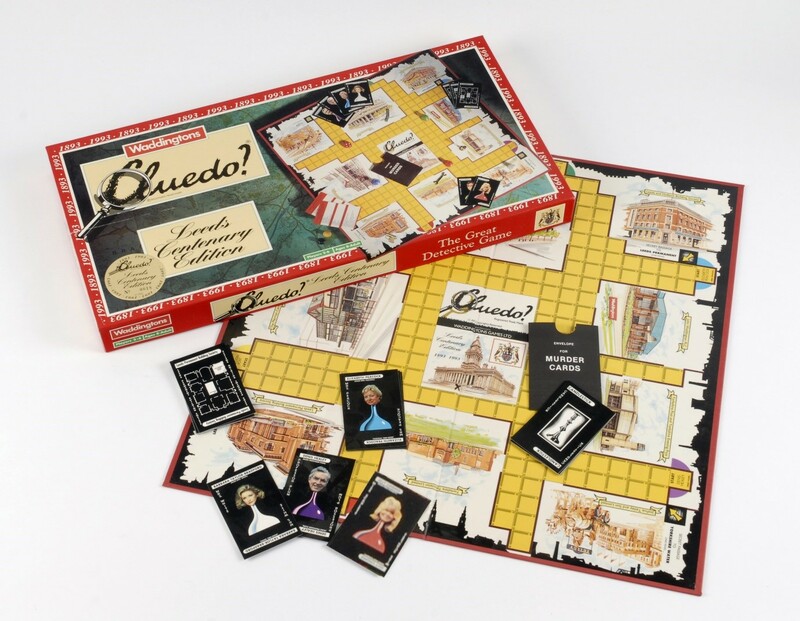 The Leeds Curriculum has been spearheaded by Kate Fellows, Lifelong Learning Manager at Leeds Museums and Galleries. Organisations from across the Leeds Local Cultural Education Partnership (LCEP), which is convened by IVE, have contributed resources. An exploration of the arts and Leeds’s international communities feature heavily in the programme, which forms a key part of the ongoing Leeds Culture Strategy and is the first programme to grow out of the LCEP since its inception. The place-based initiative was designed by teachers and pupils from more than 30 schools, who drew upon information, resources and archives provided by over 40 different arts, cultural and community organisations across Leeds. The result is a series of 27 stories, which will eventually expand to 50, exploring everything from the prehistoric Armley hippo through to Victorian-era crime and punishment and the development of innovation and enterprise. The stories aim to give the children of Leeds a shared narrative and sense of pride and belonging, as well as covering the National Curriculum history requirement for children to learn about ‘significant historical events, people and places in their own locality’. Of course the curriculum links are not limited to history, this is a local lens for geography, literacy, maths, DT, science, art, drama, dance, you name it! “Other cities have created place-based curriculums before but never on this scale of collaboration. We are really leading the way forward. So much hard work has gone into developing and designing the Leeds Curriculum from everyone involved and I’m delighted that children across the city will now have access to a wealth of resources which will help them to discover more about their home. In a globalised era, the ethos behind the Leeds curriculum is to give our city’s children roots to give them wings. The curriculum has been built from the ground up – beginning with stories gathered from community workshops across the city. The stories provide irresistible hooks for teachers to hang their lessons from. Who wouldn’t want to find out more about the elephant that found itself stuck in a Kippax ginnel when it made a bid for freedom from a travelling menagerie?! Jumbo Alley, as the ginnel was dubbed, is a route into a far wider set of resources that reveal how the people of Leeds entertained themselves before television and the internet. Each story has a suite of leaning resources including National Curriculum links, primary sources like films and photographs and details of local venues offering related workshops. When Hippos Roamed the Streets of Leeds! The curriculum is hosted on mylearning.org, developed by Leeds firm, Grapple (of pinterest fame), which has also been relaunched alongside the Leeds Curriculum. Mylearning holds a range of cultural and heritage resources from venues and archives around the UK, alongside the Leeds Curriculum, making it an invaluable one-stop shop for time-poor teachers. As well as saving them time, the Leeds Curriculum offers primary teachers and leaders an approach which addresses the need to raise standards alongside depth and richness. Delivering diverse and vibrant provision whilst addressing standards can seem overwhelming, if the two issues are viewed as separate challenges. The Leeds Curriculum is born of the conviction that the two things are indivisible, and it’s an argument backed up by a raft of evidence. We’re starting to hear a similar message in OFSTED’s feedback to schools who’ve been inspected recently, so it seems as though schools who have attended to the breadth and balance of their curriculum will have a head start when the new OFSTED Framework is released in 2019. The day after the launch Leeds Museums and Galleries, West Yorkshire Playhouse, IVE, Yorkshire Inclusive and Noctua Teaching School Alliances held a conference to explore the possibilities of an arts and culture-rich curriculum. 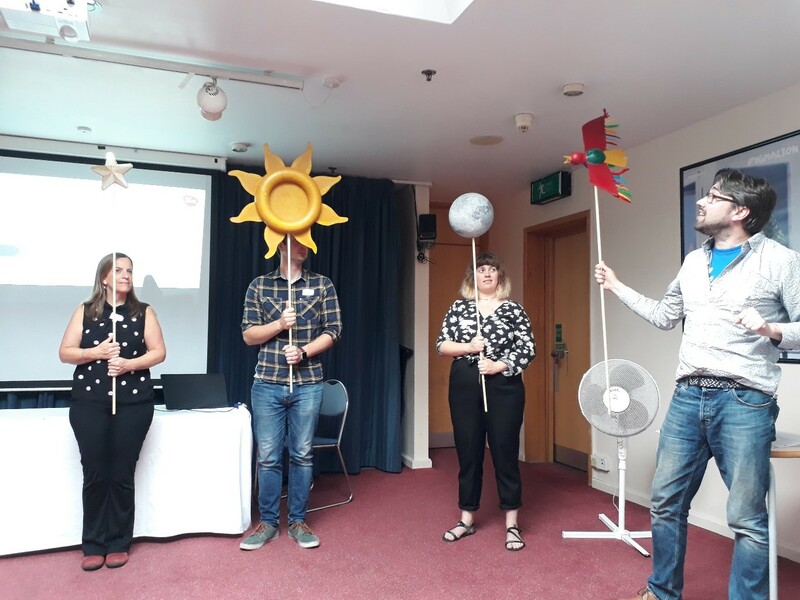 Sessions offered teachers the chance to sample workshops from West Yorkshire Playhouse, Yorkshire Sculpture International, Alive & Kicking, Leeds Museums and Galleries, Phoenix Dance and Moveable Feast. Allerton CofE and Leeds East Primary Partnership, presented on the benefits of embedding the Arts across the curriculum in their schools. 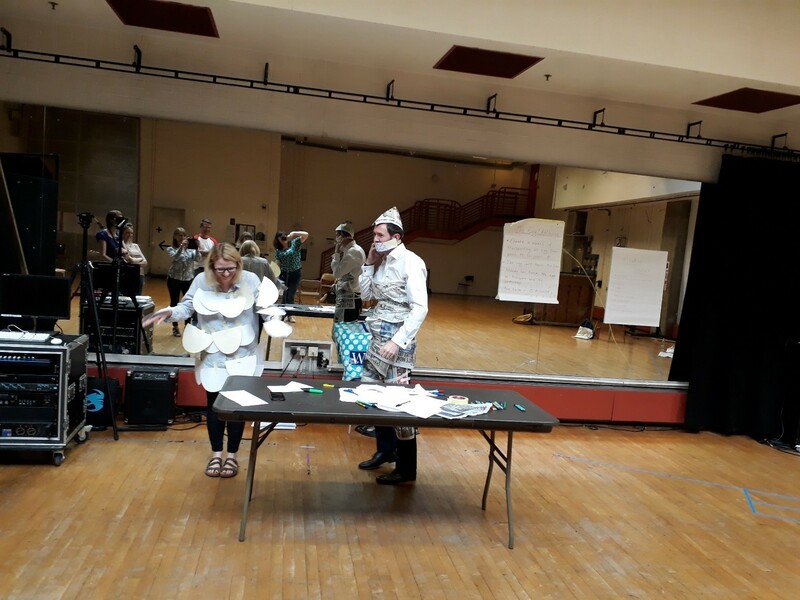 White Laith (part of Leeds East Primary Partnership) focused on how working with drama practitioners had opened up the specialist language of Beowulf, allowing children to absorb the characters, setting and action and deploy them to great effect in their writing. 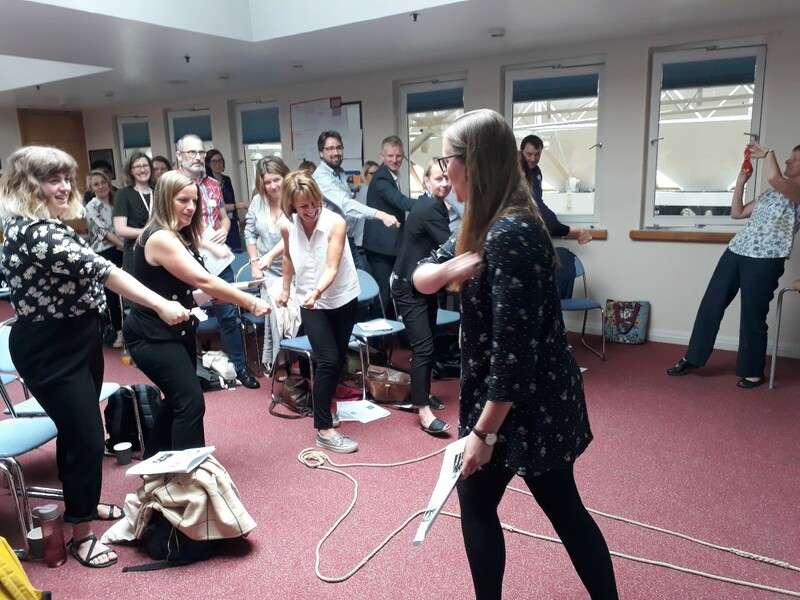 IVE’s workshop offered a taster of our Developing Independent Learners programme, challenging teachers to consider what constitutes creativity and how they can create the right conditions for it to thrive in their classrooms. Early Years teachers going above and beyond: we asked them to make an animal out of paper; they made themselves into a pair of animals and created a shark attack narrative! What Next for the Leeds Curriculum? All 50 stories will be live in time for the start of the academic year in September. The Leeds Curriculum will then be extended to cover secondary schools. We’d love to hear from teachers about your experiences of using the Leeds Curriculum for learning in and outside of the classroom. But What About Schools Outside Leeds? Local curriculums are being explored with great enthusiasm around the UK. In Bristol for example, where the team is regularly updating a blog on their progress with a cultural curriculum for the city. The RSA has piloted area based curriculums in Manchester and Peterborough. It has a dedicated resource hub where you can find a range of case studies and guides to developing your own. Individual schools can boost their place-based provision by engaging with Historic England’s Heritage Schools programme. A key aim of the Heritage Schools programme is to make sure that children develop a sense of pride in where they live and understand their local heritage and how it relates to the national story. It also helps teachers to make effective use of local heritage resources and to embed their local context in their school’s curriculum.